The Five Count recently had another chance to speak with WWE Hall of Famer Diamond Dallas Page. DDP is a former three-time WCW Heavyweight Champion, WWE Tag Team Champion, and has appeared in films like Ready To Rumble and The Devil’s Rejects. He is also the creator of the DDPY yoga program. 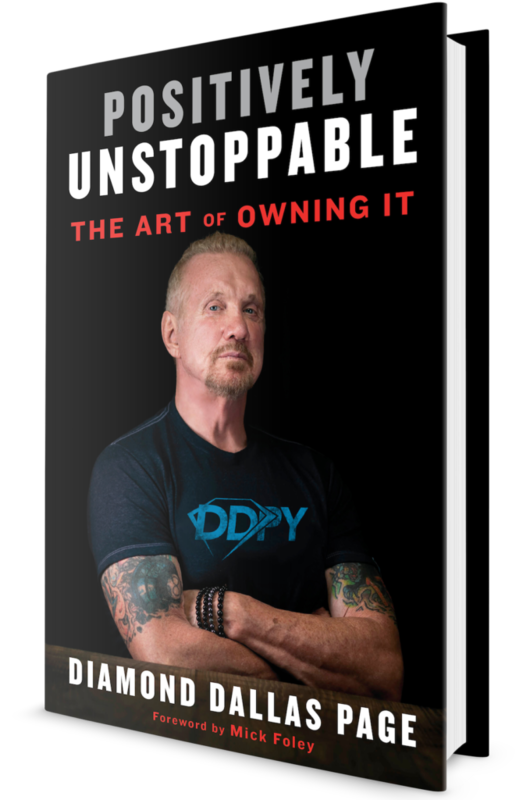 His new book “Positively Unstoppable: The Art of Owning It with the Power of Mind-Set, Motivation, and DDP Yoga” is available now!